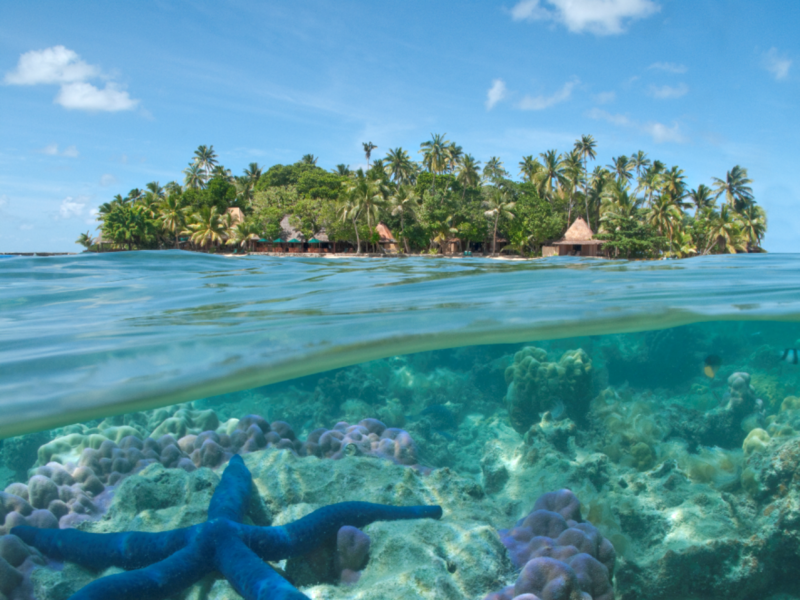 Ni Sa Bula and Sunny Greetings from Fiji's Best Kept Secret, Toberua Island Resort. Toberua is an idyllic four acre island nestled in the azure South Pacific seas of Fiji. Just one hour away from Suva's capital Suva, Toberua offers the perfect getaway escape for one and all. Nestled just outside the Eastern rain belt, Toberua offers her guests the perfect combination of golden rays of sunshine and sweet Pacific breezes. 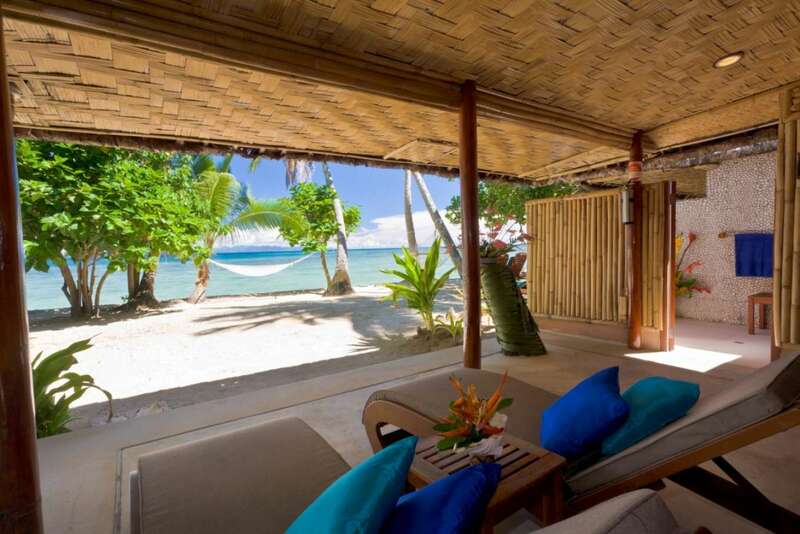 Deemed by many as a slice of heaven on earth, Toberua offers 15 thatched and spacious bures; all boasting Fijian architecture as its finest. 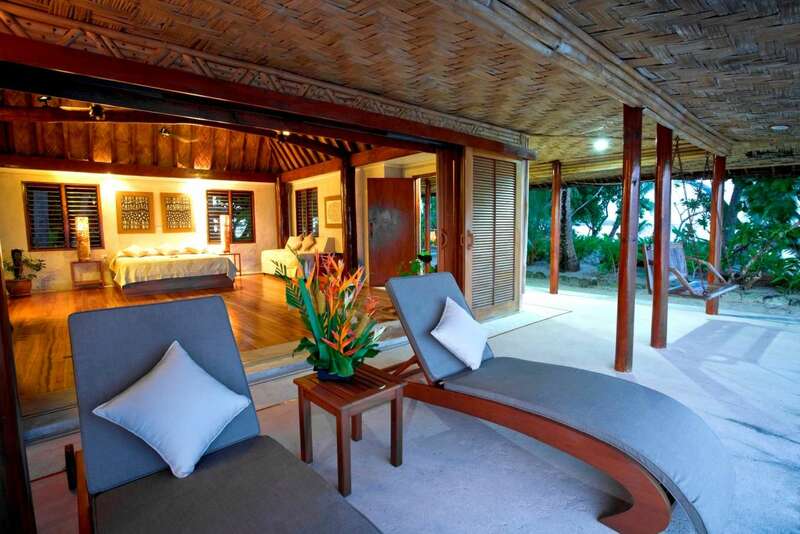 Each bure has its own private patio and is set right on the waters edge. There is something about Toberua Island that is difficult to describe. It is the feeling of supreme contentment when you step ashore and then the sorrow that you feel when you leave, farewelled by a crowd of newly found friends. The island is an enchanting place, an oasis of calm that offers its guests a uniquely Fijian experience so different to other resorts. Above all things it is the beautiful, caring nature of the Toberua staff that delivers a steady stream of returned visitors to the island. Many of the staff have been working on Toberua for generations and they are keen to make you feel as at home on the island as they do. 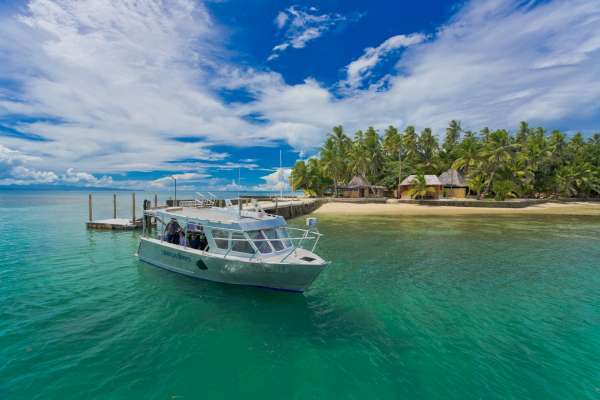 Toberua Island has been a popular retreat for over 30 years. An oasis of calm away from the regular tourist track. Located just 35 minutes from Nausori Airport, with Air Pacific's twice weekly direct flights, you can be relaxing on the beach only three and a half hours from Sydney or Auckland. Toberua Island falls outside the Suva rain belt and has a lovely climate similar to the west coast of Fiji. It really is the picture perfect tropical island surrounded by aqua water, measuring only four acres at high tide. The tranquility of this island has been preserved with only 15 private waterfront bures. These chiefly bures are constructed in the traditional style using natural materials and techniques passed down through generations. Lying on the bed you can gaze up at the 25foot high ceiling, where the woven "magi magi" makes the interior a work of art. Each bure is fully equipped with all the modern facilities as well as a beach deck, garden deck and a luxury indoor/outdoor bathroom. The food on Toberua is to die for. It doesn't take long to get used to a lifestyle of indulgent three course meals, especially when there is an ever-changing array of flavours to try. Toberua's internationally trained chef never fails to impress with his amazing repertoire of Tropical, Western, Mediterranean dishes that embrace the abundance of fresh fruits and seafood in the area. The service on Toberua is naturally intuitive, and never invasive. Always ready to top up your glass with a selected drop or prepare you an unwinding cocktail from the bar. The staff are keen to make your holiday exactly as you desire. For an intimate evening, your dinner can be served in your bure or on a private table for two under the stars. A long time ago a young fisherman chanced upon the uninhabited island of Toberua where he found a single trail of footsteps in the sand. Following these footsteps brought him to a beautiful girl who was wearing her hair in two long pigtails. Like all good legends go, the couple fell in love and lived happily ever after. From these romantic beginnings, Toberua has become a special place for couples from all over the world, as a popular honeymoon destination and a premium wedding location. There are countless locations for exquisite ceremonies and stunning photography on the island. The best part is that Toberua's experienced staff and personal wedding co-ordinator organize everything from the flowers to the cake with a natural sense of style and grace. Toberua is also popular for small group weddings for up to thirty guests where an intimate wedding reception can be prepared under the stars or in the candlelit dining room. However you decide to fill your days on Toberua you can be sure to experience a sense of exquisite relaxation that exudes from this island. Toberua is a uniquely beautiful place that will remain in your heart until you return.